I’m approaching 10,000 followers on Twitter (9,546 … oh, I’m so very excited). Should I have a little Twitter party when/if I reach 10,000 followers? Or, maybe I’ll promote some crappy e-book about it! 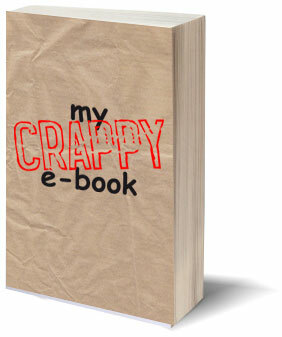 The crappy e-book idea will probably make you a fortune so is most likely the best way to go. So that was it, I decided right then and there, that I would write an E-Book (and that I must finish it before I get another 454 fans on Twitter). I also decided right then and there, that I would call it “My Crappy E-Book” and sell it for $0.99 on my website (or 2 for $1.97). The first 1,000 people to retweet this message get a free copy of “My Crappy E-Book”. That’s a savings of $0.99. Don’t delay! Click the link and Retweet it. I can’t give this thing away forever, you know! Oh, and follow me on Twitter.